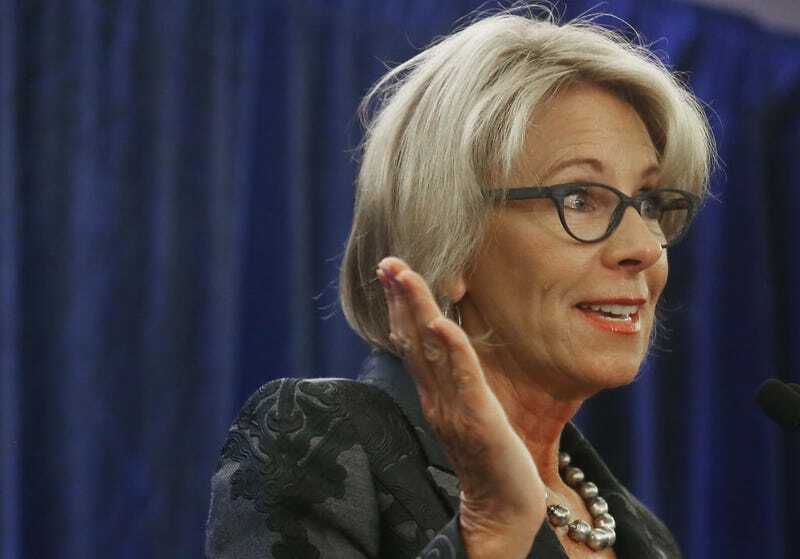 For some reason unbeknownst to many of us, historically black college Bethune-Cookman University in Florida has announced that Education Secretary Betsy DeVos will be the keynote commencement speaker next week. The news is super confusing, considering that the pro-school-choice head of education once famously flubbed that HBCUs were the true pioneers of school choice, rather than that HBCUs were created because blacks weren’t allowed to attend colleges and universities with whites. The news of DeVos speaking at the Daytona Beach, Fla., college founded by civil rights activist and educational icon Mary McLeod Bethune isn’t sitting well with those who know DeVos to be a rich contributor to Donald Trump’s campaign, and her appointment to her current position as a gift. Somehow, Bethune-Cookman University actually thought it made sense to compare the woman who once claimed that guns in classrooms may be a necessity for teachers to kill bears to the school’s namesake. An online petition asking that DeVos not be the commencement speaker and that, instead, the university choose someone else had over 3,000 digital signatures as of Monday afternoon. We, the proud alumni of Bethune-Cookman University, understand the importance of engagement and open communication HBCUs must have with all levels of government; therefore instead of inviting Secretary DeVos to graduation, let’s welcome her to the table and have meaningful dialogue about stronger policies, the White House HBCU Initiative, and the importance and contributions of HBCUs. Bethune-Cookman University doesn’t need a photo op from the Trump Administration, we need action done by this administration for all HBCUs. Please rescind her invitation to speak at the graduation ceremony.